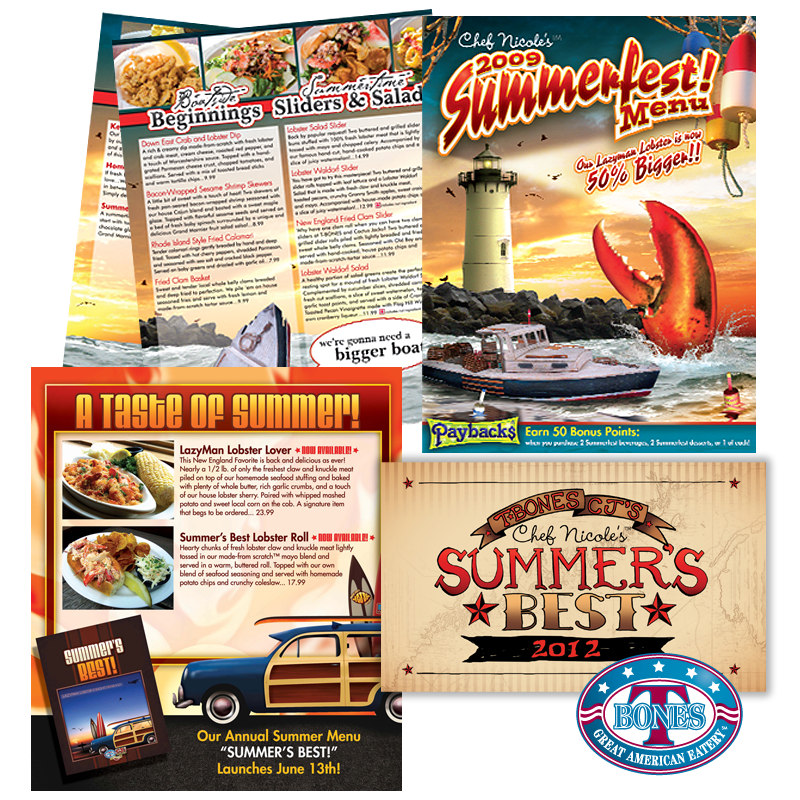 Annually reinvent the Summerfest menu with whimsy and fun in mind while capturing the feel of summer. Support this seasonal menu with advertising, video commercials, social media support and more. Custom illustrations and co branding with sponsors such as Sailor Jerry and Sam Adams.